Inspector Periyapandi was killed trying to capture Nathuram Jat, the mastermind behind a gold heist in Chennai. Initial reports suggested he was shot with his own gun, but further investigation has revealed that he was shot accidentally by a member of his own team, according to Pali Supreintendent of Police Deepak Bhargav. Chennai: Inspector Periyapandi, who was leading a special team formed to track down the alleged mastermind in a Chennai burglary case, was shot by his colleague's pistol, a senior police officer said in Jaipur on Saturday. 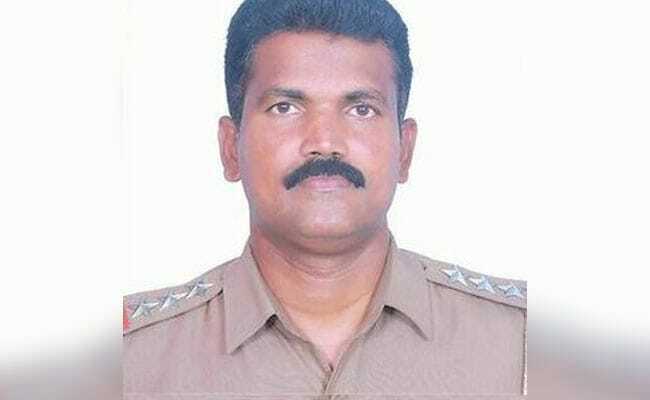 Muni Shekhar, the other inspector in the special team, was taking out his pistol from his holster when he accidentally pressed the trigger, shooting Inspector Periyapandi by accident, officer Bhargav told news agency IANS. The 48-year-old inspector, who was posted at the Maduravoyal police station, was killed in the Pali district of Rajasthan. His team was solving the robbery case where the suspects drilled a hole in the ceiling of a jewellery shop and escaped with 3.5 kg gold last month. The police arrested four people but the chief suspect Nathuram Jat had escaped to his home state of Rajasthan, along with a majority of the loot. Having received information that Nathuram was hiding in a deserted brick kiln, Inspector Periyapandi's team of seven headed for Pali's Jaitaran, about 238 km from Jaipur. There, the team was attacked by the women of Nathu Ram's family. While most of the officers made it out of the kiln, Inspector Periyapandi couldn't get out. The team immediately rushed the injured inspector to a nearby hospital where he was declared dead, he said. Nathuram Jat, along with his wife Bindiya and daughter Sugna, have been arrested for making a life-threatening attack on the Chennai based team, officer Bhargav said.